Load Toggl page in SimplePay, and go to Import Data Tab. 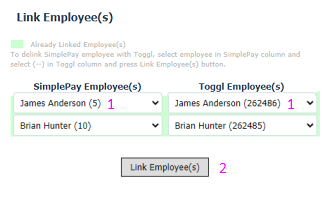 Under Manage Employees panel, number of employees created in Toggl will be listed which are not imported in SimplePay. 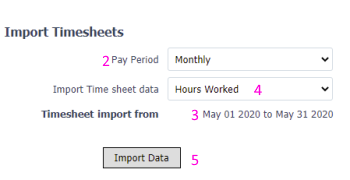 You can import timesheet data for employees imported from Toggl. Load Toggl page in SimplePay. Press import data button to import timesheets from Toggl. All Hours from Toggl will be imported as Regular Hours.